Cape May Warbler. Baltimore Oriole. Louisiana Waterthrush. Philadelphia Vireo. In North America, we often think of the birds we see at our backyard feeders as “ours,” even going so far as to name them after our own cities or states. But for part of the year, many of them “belong” to someone else, migrating to islands in the Caribbean in a feat of strength and perseverance. “A lot of people don’t realize how far the birds travel and how much they rely on the islands for habitat,” says Lisa Sorenson, executive director of BirdsCaribbean. Protecting that habitat is where BirdsCaribbean comes in. The non-profit is the largest regional organization dedicated to the conservation of wild birds and their habitats in the insular Caribbean (including Bermuda, the Bahamas and all islands within the Caribbean basin). It claims more than 1,200 members and supporters, and its partners are a mix of local, nonprofit organizations like national trusts or nature conservation organizations, as well as government agencies and individual members like volunteers and teachers. It all started in 1988: “Ornithologists and biologists in the region realized that everyone was working on their own little piece and feeling quite isolated,” Sorenson says, so they started a conference. “It’s a real boost to everyone’s morale to get together and discuss issues they’re facing and share information. I feel that’s a big function of our organization is bringing everyone together.” Over the last 10 to 15 years, the focus has expanded to encompass workshops, training, bird monitoring, and outreach and education. Today, the organization promotes several flagship programs. 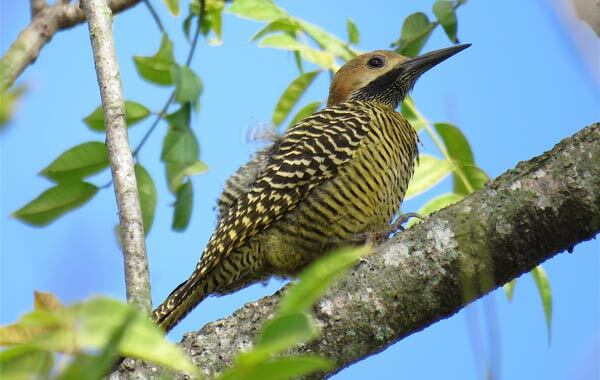 It hosts the Caribbean Endemic Bird Festival in spring, a month-long event to raise awareness about the large number of endemic birds found in the Caribbean—172 to be exact. (In fact, the Caribbean is recognized as one of the top biodiversity hotspots in the world.) Other programs include a Fall World Migratory Bird Day, the West Indian Whistling-Duck and Wetlands Conservation Project, BirdSleuth Caribbean, and the annual Caribbean Waterbird Census. Another important initiative is the creation of a Caribbean Birding Trail, which is not really a trail, per se, but rather a collection of birding sites. “Over time, we realized in the Caribbean that birding and bird-watching tourism is underutilized,” Sorenson says. Many birders overlook the Caribbean as a birding destination because the total number of species is relatively low compared to other places, she says, but the rate of endemics is very high. Volunteers began gathering information, mapping out sites, and making sure people would have a guide who could take them out. “We realized there was a real shortage of trained guides,” Sorenson says. So the organization started a guide training program, holding the first one in Grenada in 2013, with the goal of using tourism to support local economies, create sustainable livelihoods, and protect sensitive areas. They wanted to train guides not just to be able to point out and identify birds, but to offer comprehensive environmental interpretation. To that end, the organization works with two facilitators from the National Association for Interpretation who help with the 5-day, intensive training. 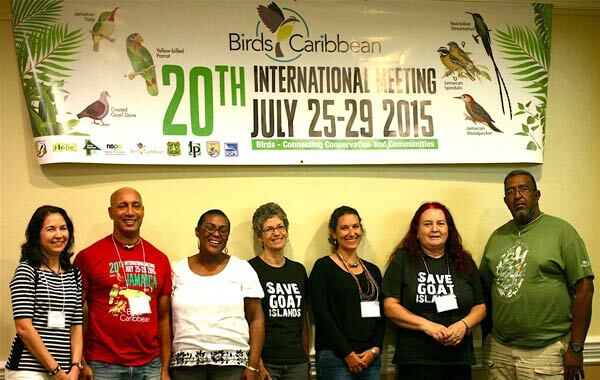 BirdsCaribbean then follows up with its graduates to gauge the long-term impact and to ensure guides are getting the business they need. The success of these guides, Sorenson says, benefits not just the individual but the whole community, with tourists spending money at hotels, restaurants, local shops, and more. BirdsCaribbean also hosts birding trips to different islands, including one Sorenson will lead to Cuba with Holbrook Travel in November. “North Americans like to come down and see where ‘their’ birds are in the Caribbean,” she says. One guide-training graduate, Alejandro Llanes, will accompany that group as its in-country guide. Sorenson is excited to work with Llanes, who she’s known for years but has never co-led a trip with before. Plus, they’ll have an apprentice guide joining them, someone who’s taken the training but doesn’t have much hands-on guiding experience yet. Proceeds from the trip will go directly toward BirdsCaribbean’s conservation programs, and the trip supports the local economy and guides that they’ve trained. 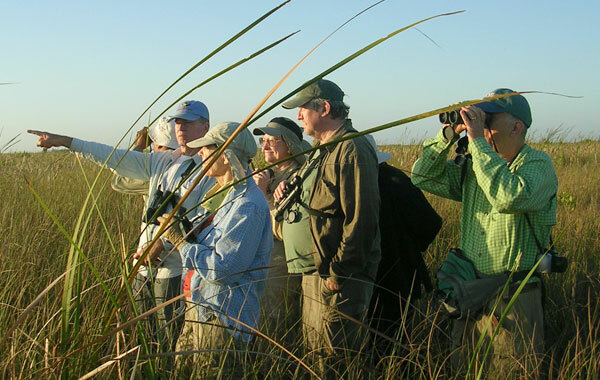 The trip, which is open for anyone to join, will feature some of the best birding areas in Cuba, says Sorenson, including Viñales Valley, Cayo Coco, and Zapata Swamp—“a must-visit area for anyone going to Cuba for birds.” It will target endemic species as well as visit places that are interesting culturally and historically. “It’s all about authentic experiences and not just sitting by the pool or hanging out on the beach. We’re trying to reach that audience,” she says. Looking ahead to the future, the organization hopes to set up trips to visit lesser-known birding spots. Often these are Important Bird Areas (IBAs) or Key Biodiversity Areas that face threats from development or pollution. Sorenson says it’s important to show politicians that these lands are bringing in money for their community and must be protected. “If you destroy them, you’re destroying your tourism economy,” she says. To learn more about BirdsCaribbean’s Cuba trip, November 3-13, 2018, visit holbrook.travel/birdscaribbean-cu18. The Great Backyard Bird Count began in 1998 as a joint project between the Cornell Lab of Ornithology and the National Audubon Society and has since expanded to 161 countries.